Too hot in the summer or too cold in the winter? 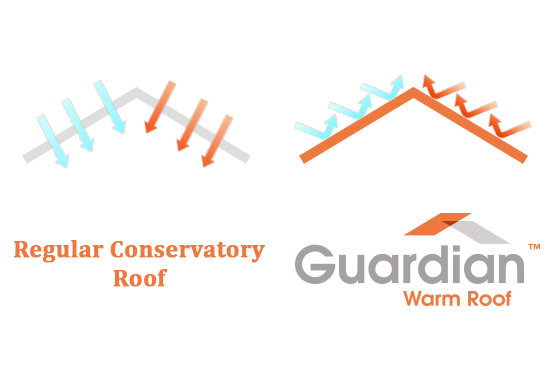 The Guardian Warm Roof System is the biggest revelation to hit the home improvement market in the last ten years. You can now change your old conservatory roof for a new Guardian Roof and effectively turn your old conservatory into a new extension that can be used all year round. The complete changeover takes only a few days with minimum disruption to your household. The roof system is designed to replace the existing glass or polycarb roof of a conservatory while retaining the original walls, frames, doors and windows at the same time providing substantial energy cost savings. Fully tested and approved to all thermal and structural standards, the Guardian system is a high performance insulated roof system comprising of a pre-engineered lightweight frame, two layers of rigid insulation board, internal insulated plasterboard, exterior grade plywood, vapour membrane and a choice of tile finishes. 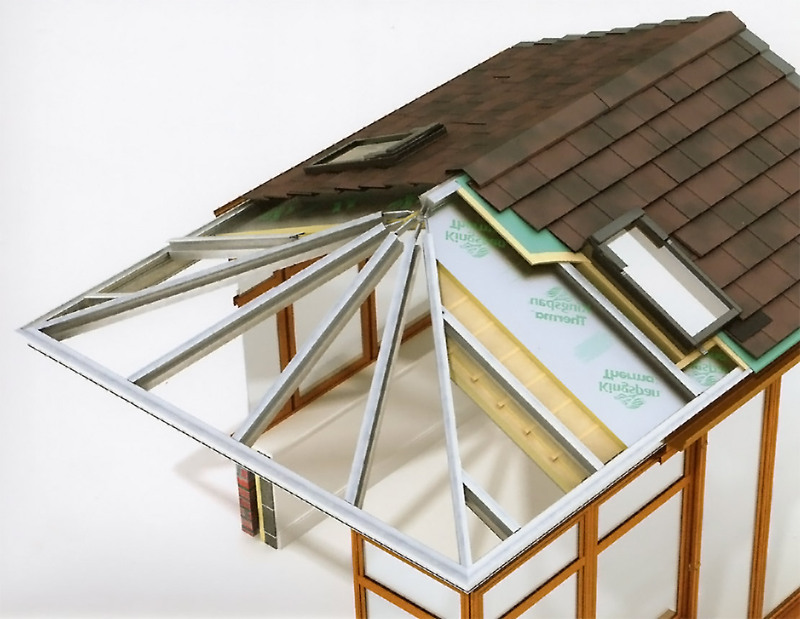 This video gives you an excellent demonstration on how the Guardian Warm Roof Conversions work. If you would like more information on the guardian warm roof or for a free no obligation quote then please get in touch with us, we will do our best to answer all your queries.